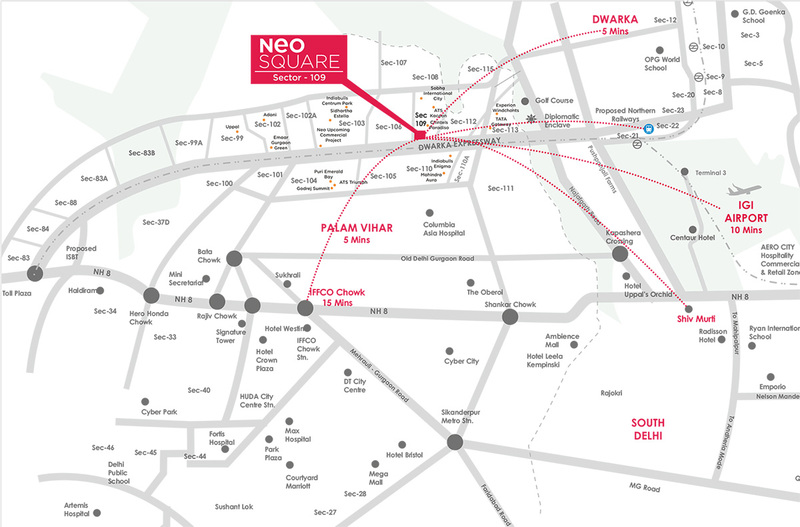 Neo Square is the distinguished residential nest of various spectacular options, located at Dwarka Expressway, Sector-109 of Gurgaon, beautifully designed and crafted spaces of commercial segments depicting with world class attributes. The Neo Developers has brought in this commercial development with numerous distinct spaces. •1.5 million residents in the vicinity. •5 mins drive from IGI Airport. •5 mins drive from proposed Diplomatic Enclave. •Proposed metro route along the Dwarka Expressway. •Convenient access from NH-8, UER-I & UER-II. Smart work space equipped to provide a unique work environment. Vastu compliant East facing building. Dedicated drop-offs points for retails and other facilities. State-Of-The-Art Inox Cinema with Gold Class and 8 Screens Multiplex and 2 Insignia. Dedicated Areas for Waiting Lounge. 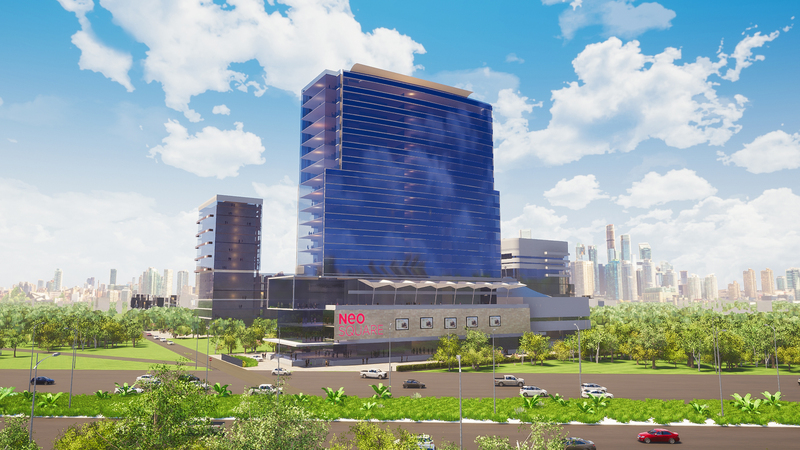 NEO is a realty brand with a new approach. 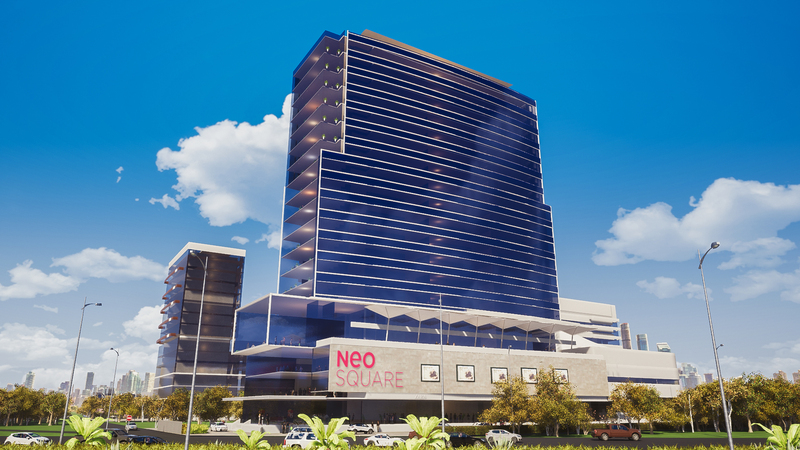 Neo Developers focuses on creating exciting, unique spaces across a diverse portfolio. Firmly grounded in principles of commitment and innovation, the brand has grown strength to strength in the new millennium. benchmark in space utilization and aesthetics.